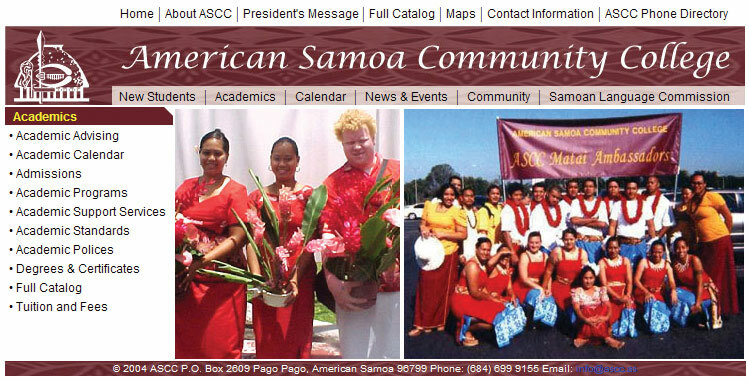 American Samoa Community College (ASCC) contracts Pasefika Designs to re-design their website. A short deadline, strict budget, and download times were all factors in planning. Using content from their catalog served as a a starting point for the site. Training was also needed for maintainance and growth of the site.